Dayu is a faculty member with economics, law, and public policy background, and more than 10 years of practice in the field of political economic analysis and judicial reform. 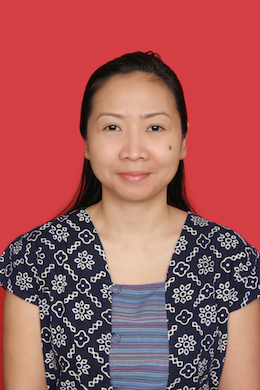 Currently she is a lecturer for courses of risk analysis in international relations, Indonesian trade policies, international political economic thoughts, and global economic architecture. She majored in commerce at Foundation Studies, University of New South Wales, graduating in 1998. Then she received her bachelor of economics, majoring in financial management, at Universitas Indonesia in 2003. She holds two master’s degrees: one master of law, majoring in business law, from Universitas Indonesia, and one master of science in public management of governance, from London School of Economics and Political Science, both obtained in 2013. Aside from being a faculty member at Binus, Dayu is the director of business development at PT Mitra Karya Niaga Investama since 2015, and has been operations officer of the country management unit of the World Bank Indonesia in 2013 – 2015. Her history of employment includes being operations analyst of governance and anti-corruption at World Bank Office Jakarta in 2007-2012, program officer of anti-corruption assistance at the International Criminal Investigative Training Assistance Program (ICITAP) of the US Department of Justice in Jakarta in 2005 – 2007, logistic coordinator at the International City/County Management Association (ICMA), Jakarta, in February – May 2005, and researched at Assessment Group Indonesia in 2003 – 2004. Governance section in the Development Policy Review (2009), http://issuu.com/worldbank.indonesia/docs/indonesia.development.policy.review. Recovering Indonesia’s Assets: Past, Present and Future (2012), link at https:// www.baselgovernance.org/sites/collective.localhost/files/publications/opinio_juris_vol_12.pdf. Volunteer. Indonesia Mengajar. Recruiting for fresh graduates to teach in elementary schools located in remote areas. (2014). Co-founder and member. LSE SU Indonesia Society. Debater and Judge. LSE SU Debate Society. Head Coach, Indonesian Schools Debating Team at World Schools Debating Championship, Germany (2005). Indonesia reached Octodinals. Delegate, Indonesian delegate to Hitachi Young Leaders’ Initiative, Singapore (2002). President, Debating Society, University of Indonesia (2002). Champion. Inter-varsity Debating Championship (2001).